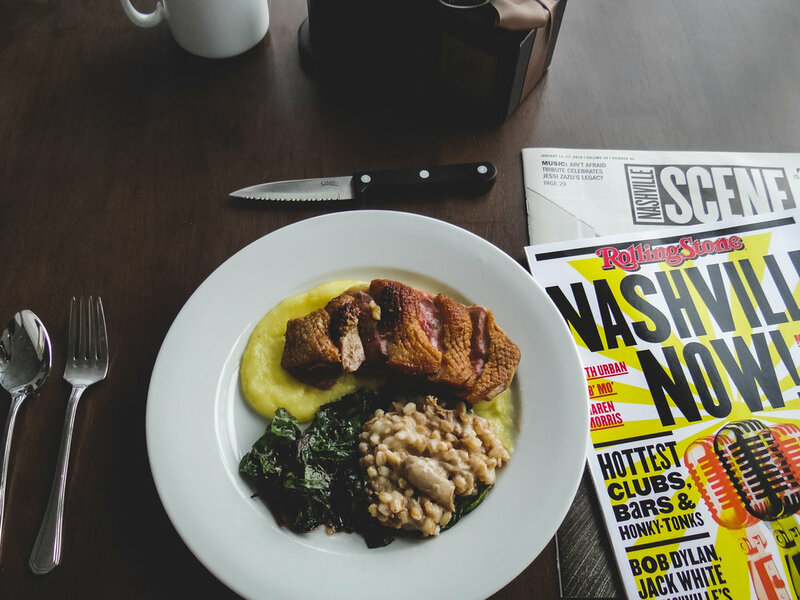 Urban luxury is core in downtown Nashville as the 505 stuns. This is a sponsored post written by me on behalf of Stay Alfred Vacation Homes. All opinions are 100% mine. 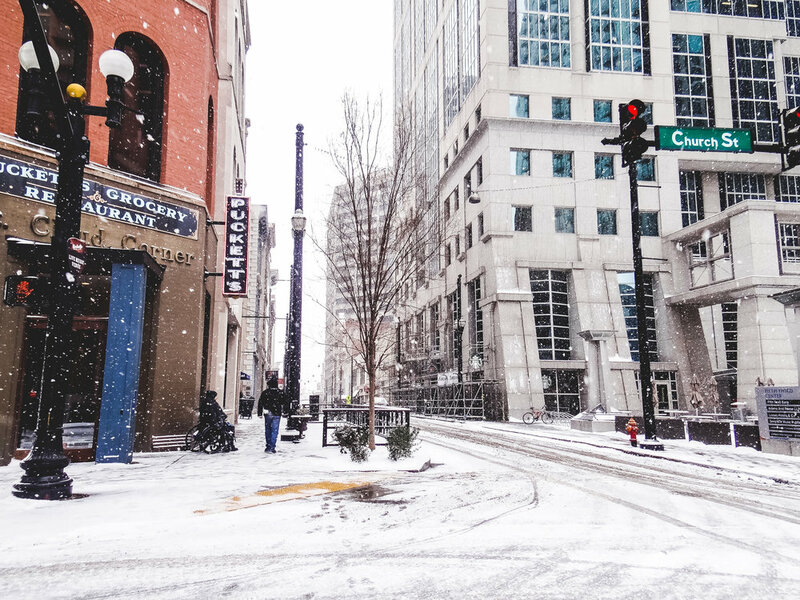 Situated at Church and 5th, the 45-story, 505-room (140 units for travelers) extended stay offers guests unsurpassed accommodations and sweeping views overlooking the Nashville skyline. I was blown away by the paramount service, spacious accommodations, fully equipped gym with a world-class trainer and all the amenities of home. With Stay Alfred, you will experience the heart of the city in the best downtown location. Stay Alfred provides the space and amenities you would expect from a vacation rental like Airbnb (with less sketchiness), combined with the consistency of a hotel. Whether you are staying for business or pleasure, Stay Alfred's accommodations will help make your trip memorable. Nashville in winter has quite a bit to offer and this vacation rental is the perfect home-base. Whether it is a short walk to Deacons New South or a quick drink at Bourbon Street Blues, your guaranteed a quick, hassle-less commute and the opportunity to find hidden gems on foot. And thank goodness for that proximity. Under the mantle of uncommon winter weather, the 505 offered a calm and relaxed ambiance, underlined by the caring staff. The unseasonable snow left me stranded in Nashville as it moved east through the mountains to Charlotte. The amazing team had me covered for another night to keep me safe and off the road. Hospitality in its truest sense. On the bright side, the nearly 8 inches of snow gave me the opportunity to test out the kitchen. Having a fully stocked kitchen less than a block away from an urban grocery store was a brilliant plan. When the snow kept most from coming downtown and thus to work, I escaped starvation! Not to mention, leftovers from delicious restaurants are better warmed in the over than ruined in the microwave. Duck for breakfast. Because classy! Between the spacious suites, the personal service and the feeling of being “at home,” every aspect of the stay is a relaxed experience. When the sunny days hit, an intimate pool area on the 7th floor will be a hotspot for worn out professionals and vacationers wanting a southern tan – a place to relax under a cabana, sipping an Eastbound. 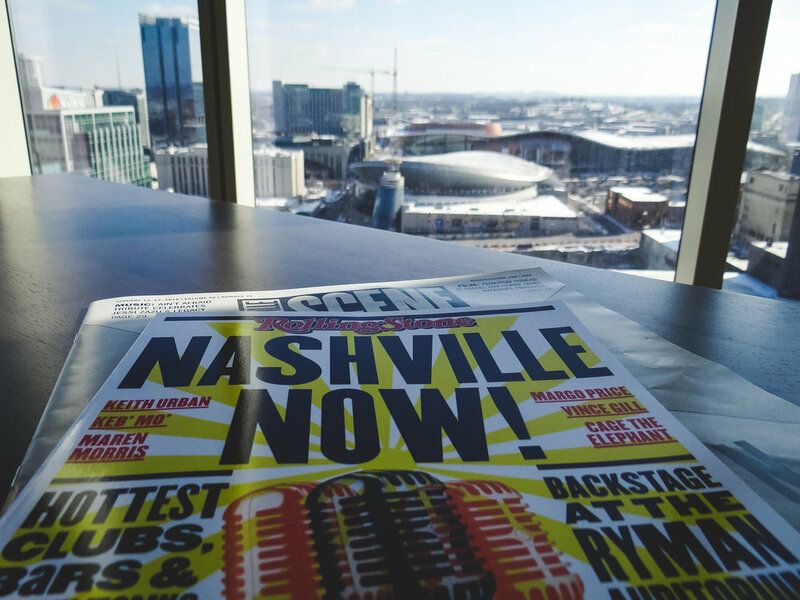 The luxurious 505 features spacious studios and suites with 10ft floor-to-ceiling windows in view of the breathtaking downtown Nashville skyline and the Cumberland River at sunset. The tallest residential building in the heart of Nashville, the combination luxury condo style, and the residential extended stay unit has cultivated an intimate ambiance of sophistication and convenience. The spacious suites range from 422 sq. ft. to 2,331 sq. ft., complete with a fully-equipped kitchen, king-size beds, extra large closets and in-unit washer and dryer. All rooms are well equipped with free wifi, Xfinity on-demand and an Alexa that knows her way around town. Every detail of the 505 exudes a sleek-contemporary ambiance and is delicately designed under the inviting backdrop of Music City hotspots. Guests can enjoy close proximity to the best the city the has to offer including the Tennessee State Capitol (7-minute walk), the Country Music Hall of Fame and Museum (8-minute walk) and Nissan Stadium (25-minute walk). Overall, Stay Alfred offers a unique, one-of-a-kind experience in the heart of Nashville with unparalleled personal service, all-inclusive luxury amenities and privacy in a warm, inviting and luxurious residential environment. Wanna save on your next rental? Use the code YOURPLACE, which grants you 10% off at any Stay Alfred property.